My boyfriend and I decided to rent Guardians of the Galaxy on Maxdome. I had seen the movie previously in the cinema but hadn’t enjoyed it very much. Mostly, because I’ve had too high expectations of it. Before watching the movie for the first time, I decided to read some Guardians comic books. I really loved Gamora and Nebula, and their sisterly relationship to each other (sisters hate each other more often than not, trust me). So if you have seen the movie, you might understand why I was a little disappointed. Watching it the second time around, I only cringed slightly at Nebula’s scenes. Otherwise, the movie was amazing. Now let me tell you why. Length: ~44-64 min., 13 eps. 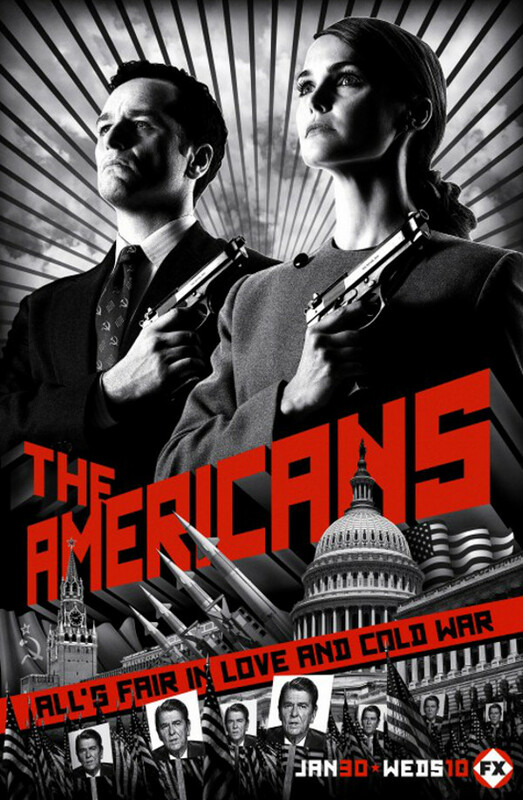 The Americans tells the captivating story of two KGB spies living in America in the time of the Cold War.